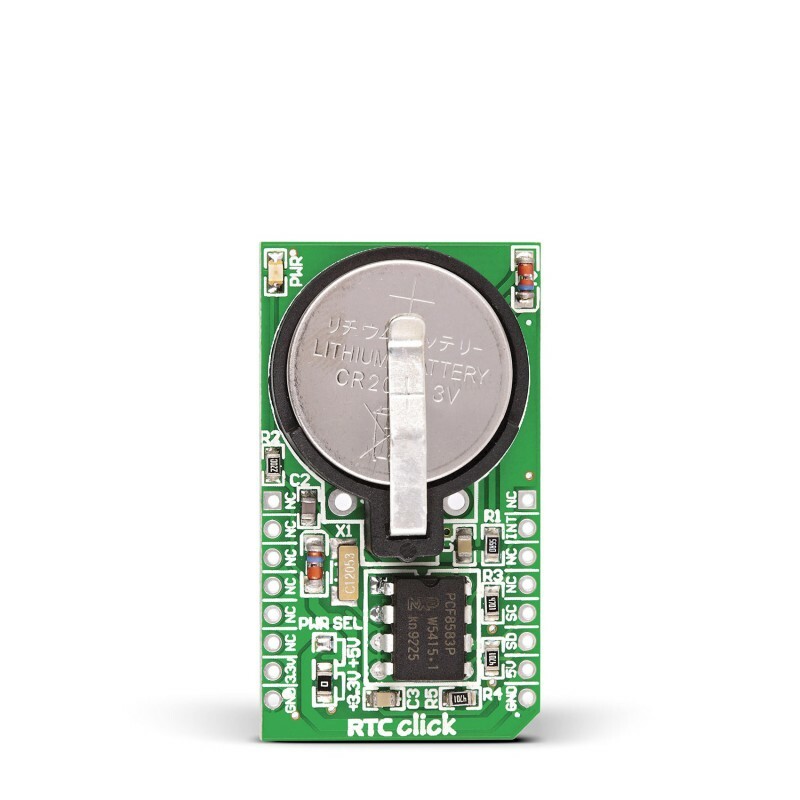 RTC Click is an accessory board in mikroBus™ form factor. 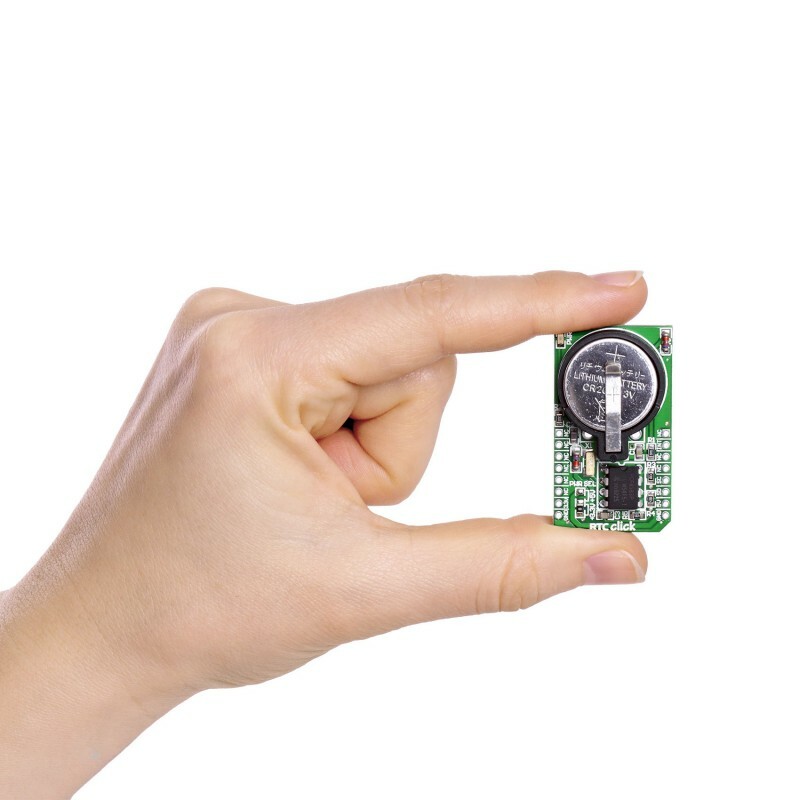 It features the PCF8583 serial real-time clock (RTC). It is a low-power, full binary-coded decimal (BCD) clock/calendar. 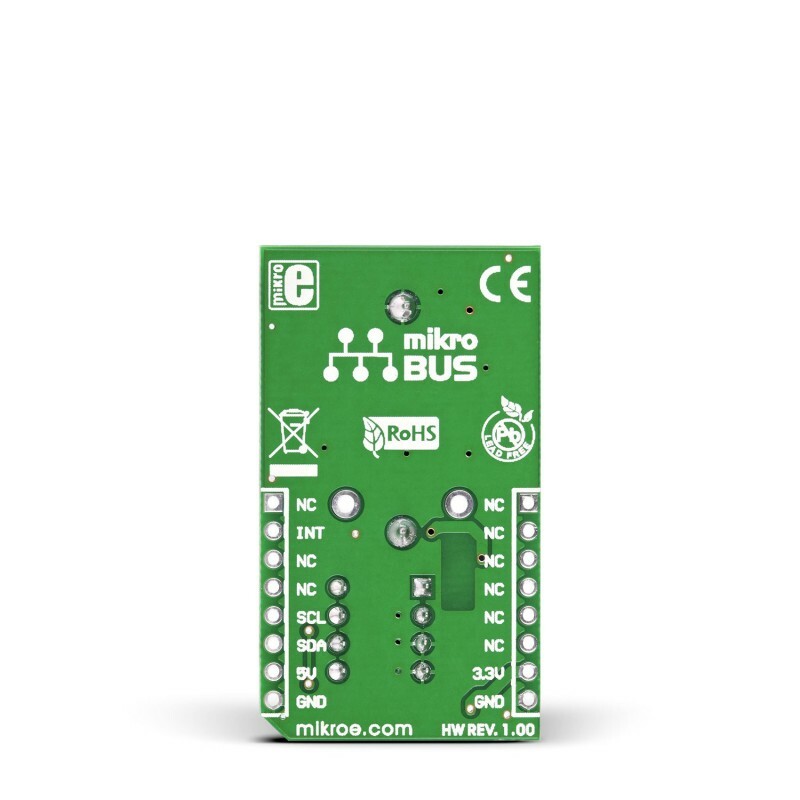 RTC Click is an accessory board in mikroBus™ form factor. 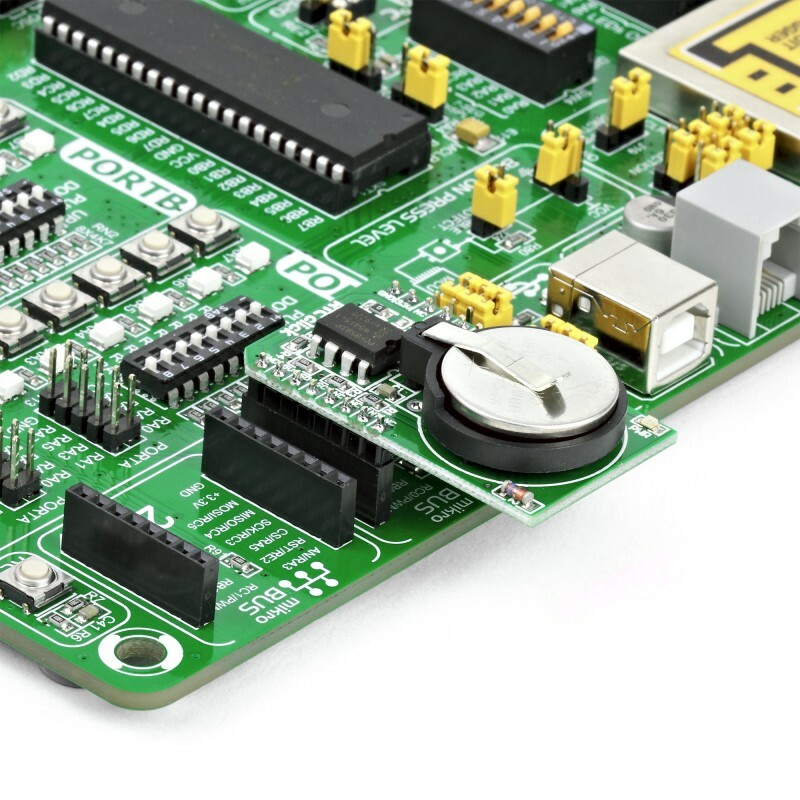 It features the PCF8583 serial real-time clock (RTC). It is a low-power, full binary-coded decimal (BCD) clock/calendar. Board uses I2C interface for communication and features a 3V/230mA lithium battery as a backup power supply which ensures that timekeeping operation continues even when the main power supply goes OFF. Board is set to use 3.3V power supply by default. Solder PWR SEL SMD jumper to 5V position if used with 5V systems.